The Bottom Line: Advanced installation features include four-point keystone correction to independently adjust each corner of the image, and up-to-27 test patterns to facilitate calibration and adjustment during installation. Screen adjustment options include: a screen color setting to adjust the color balance according to the color of the projection surface, digital image shift to move the image horizontally and vertically, and support for 16:10, 16:9, and 4:3 aspect ratios. 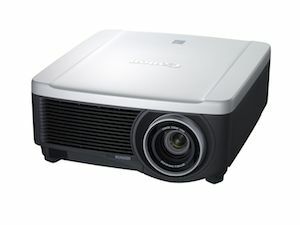 The design of the new Canon REALiS WUX6000 Installation LCOS projector allows for 360-degree installation for projection at any angle, which can be an ideal and handy feature for tradeshows, theatrical events, museum, and amusement applications.